The annual Quadrantid meteor shower is peaking this weekend over the night of January 3 – 4, during which avid space enthusiasts could spot up to 80 shooting stars per hour. Peak activity is short-lived and very intense, despite the entire show lasting between December 28 last year and January 12 this year. Quadratids consist of larger particles than an average meteor shower, thus causing larger explosions of light and color that can persist longer. Fireballs are also brighter, with “magnitudes brighter than -3,” according to NASA. The show is best viewed in the northern hemisphere, however, the moon’s prominence in the sky on the night could have a mildly detrimental impact on visibility. The bright moonlight can wash out all but the brightest meteors. Stargazers have also been advised to stay away from big cities if they want to get the best view – as artificial light pollution can obscure visibility dramatically. To see the meteors one would need to lay on his or her back looking up in the night sky for some 20-30 minutes to let the eyes adapt to the dark. “Be patient — the show will last until dawn, so you have plenty of time to catch a glimpse,” said NASA. The Quadrantids took their name from a constellation of Quadrans Muralis, which was absorbed into the Boötes constellation in 1922, when the International Astronomical Union defined the present 88 constellations. 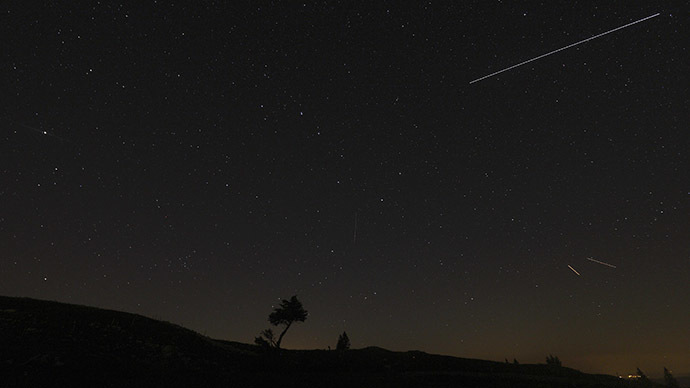 The name Quadrans Muralis however survives in terms of its meteor shower.